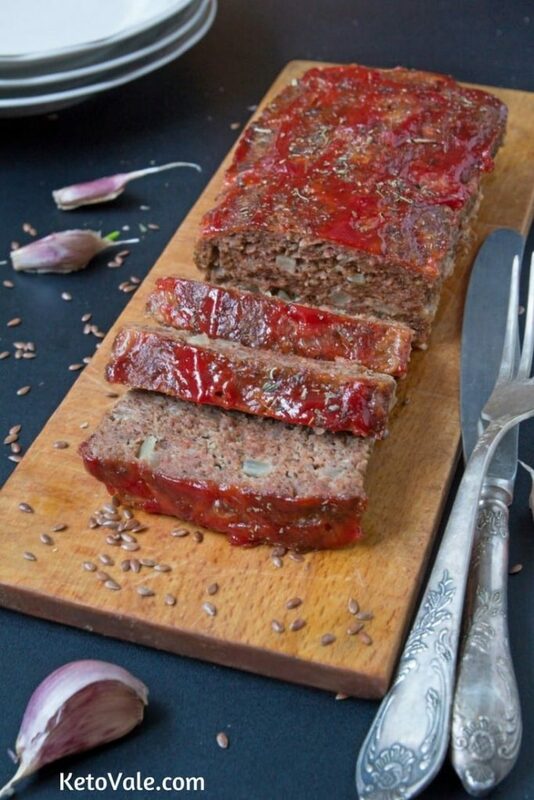 Meatloaf is one of those things you either love or you hate! If you are a lover, this post is perfect for you! 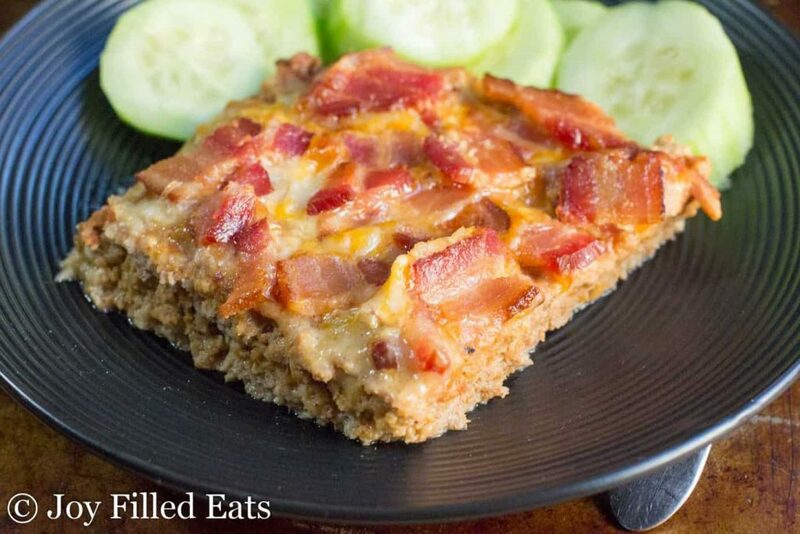 If you are a hater, maybe one of these 40 keto meatloaf recipes will change your mind! 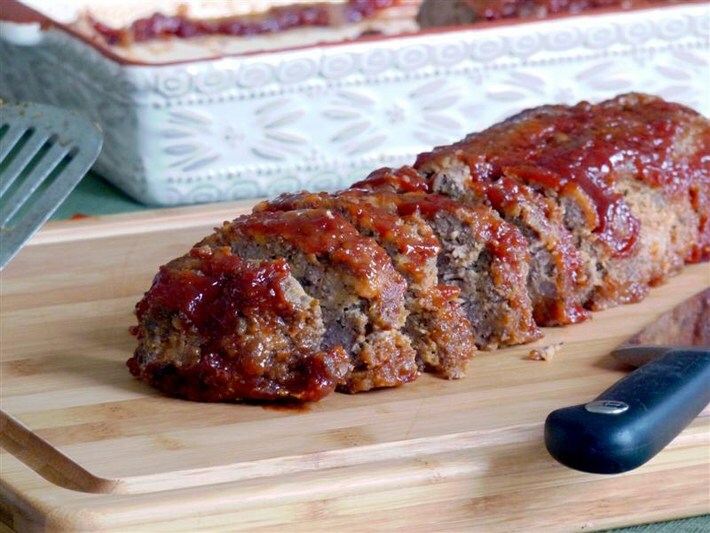 Meatloaf…a classic main meal that many people fear. 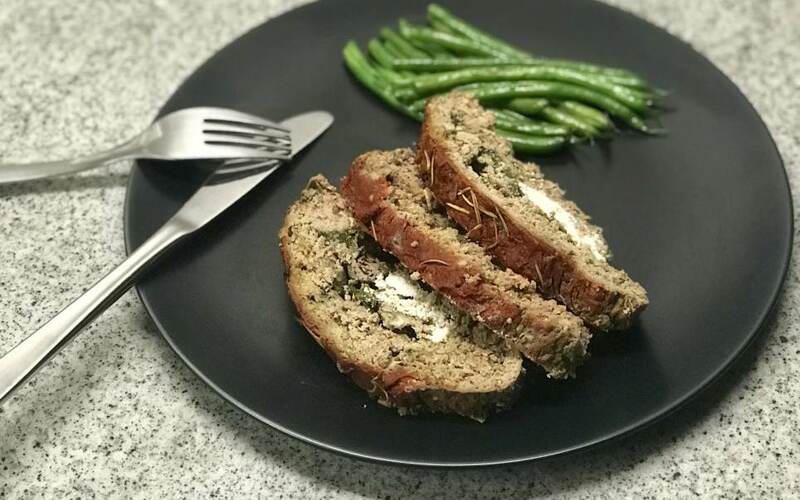 Despite its bad reputation, meatloaf is actually soooo delicious when made right! 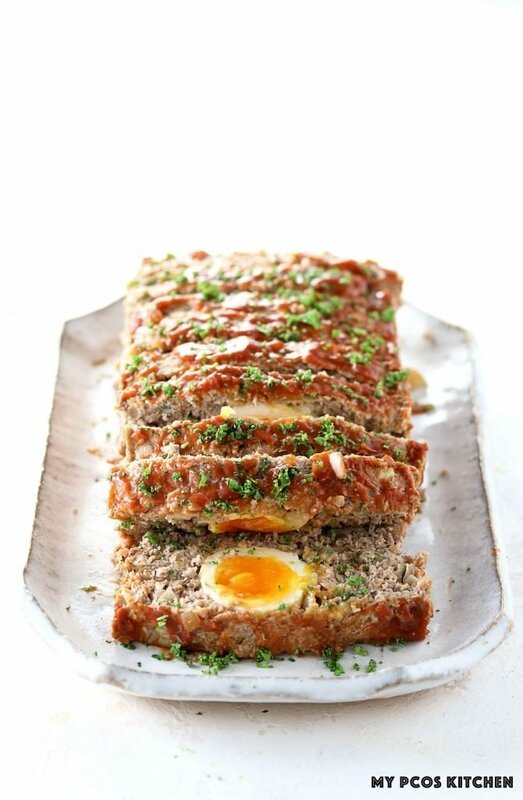 Traditional meatloaf is made with meat (obviously), eggs, breadcrumbs, onion a bunch of spices, and topped with ketchup. 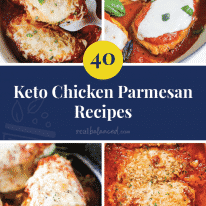 So, when you are on a keto diet, some of those ingredients will NOT keep you in ketosis (cough..breadcrumbs…cough…ketchup)! But don’t fear! 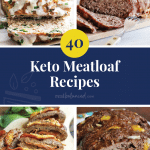 Keto meatloaf is possible! 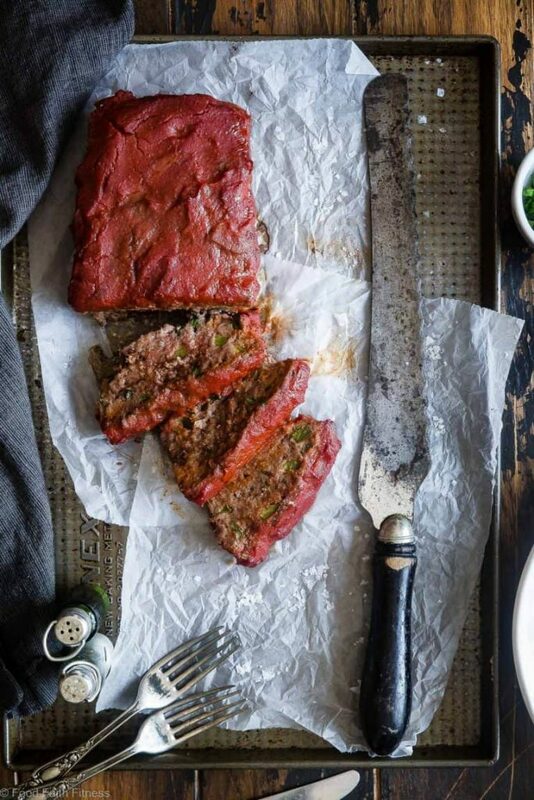 Who says you need breadcrumbs and ketchup to make an awesome tasting meatloaf? 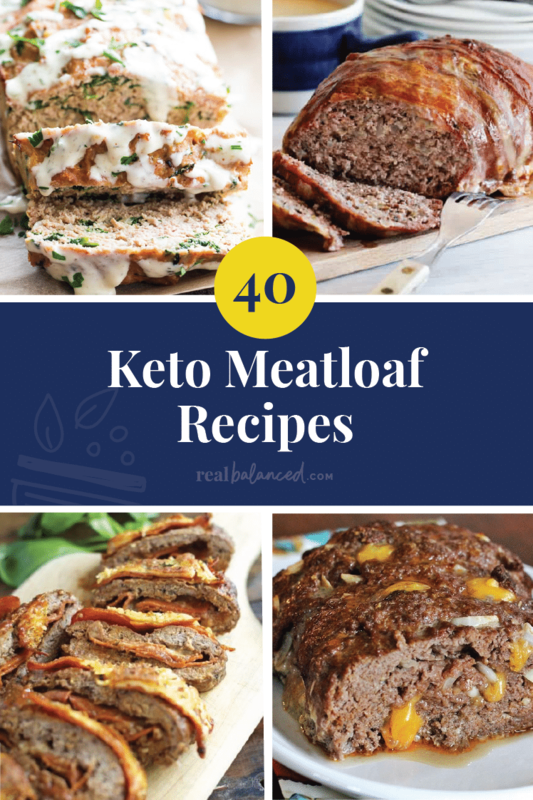 In fact, people get creative and make many varieties of keto meatloaf such as mexican, chicken, and BACON-WRAPPED! Here are 40 of my favorites! 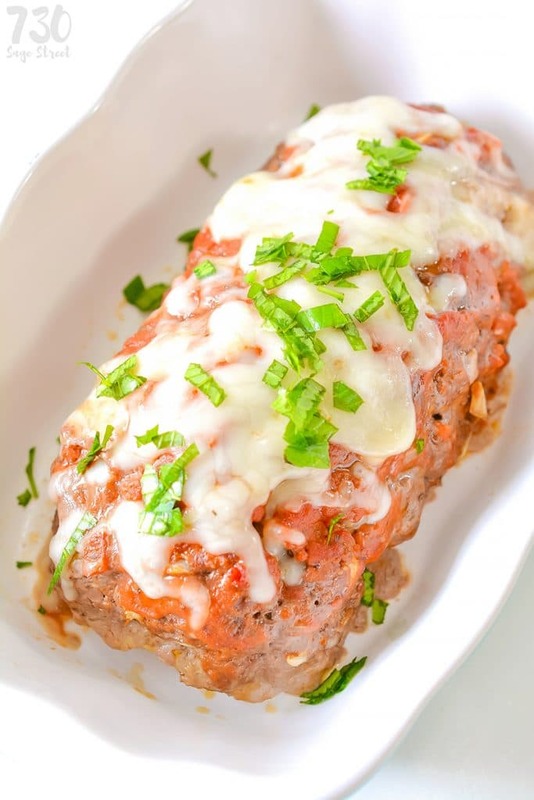 This meatloaf is soooo cheesy and tastes just like chicken parmesan! 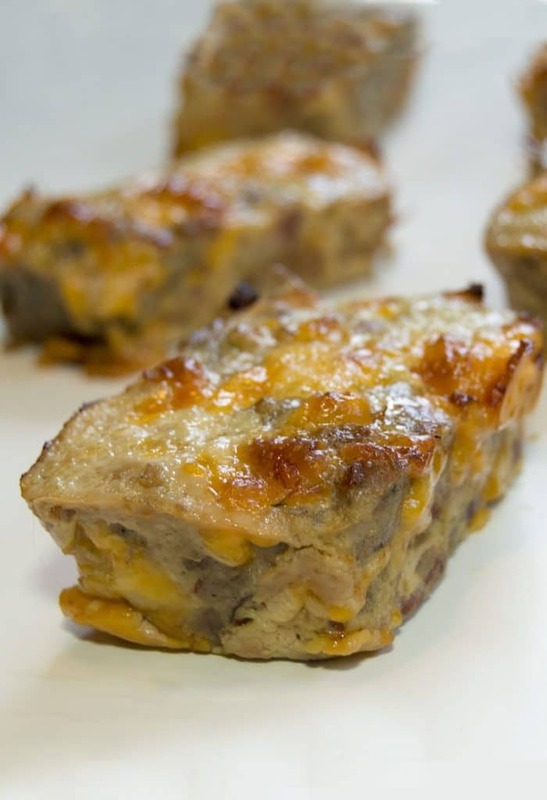 Meatloaf for breakfast may sound a little weird, but these mini meatloaves are AMAZING! 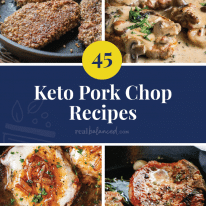 If you aren’t drooling right now, maybe this keto thing isn’t for you! 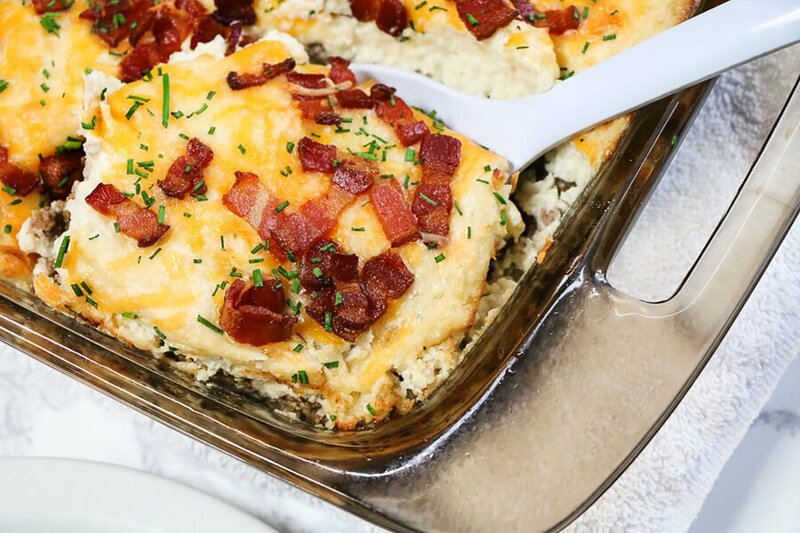 This is a great meal for a crowd or a busy family night! 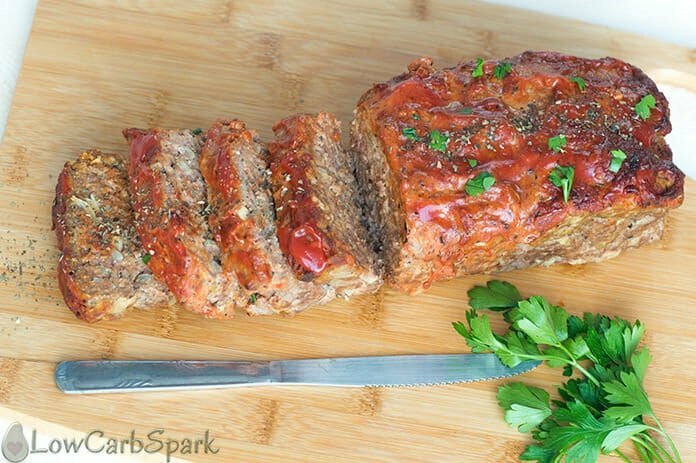 This recipe tastes just like good ol’ fashion meatloaf, and you would never guess it was low-carb! 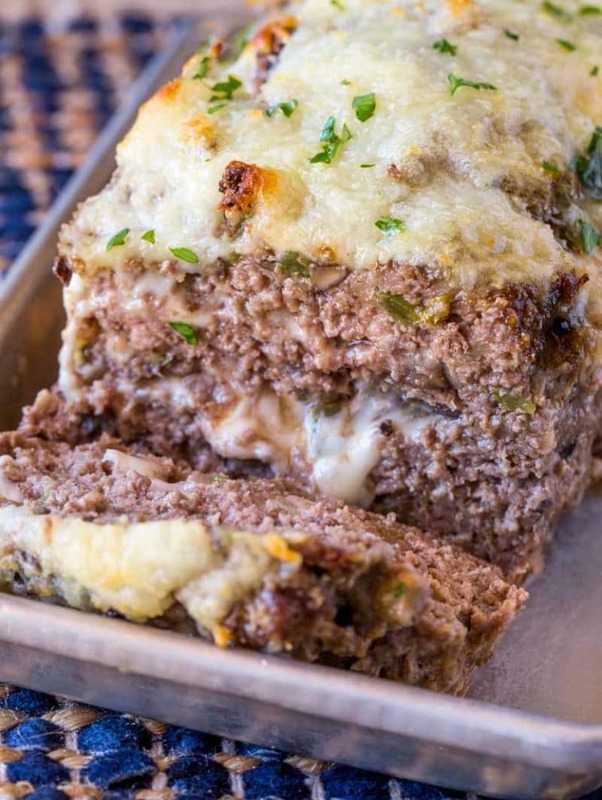 No need for bread with this tasty, cheesy meatloaf version of philly cheesesteak! 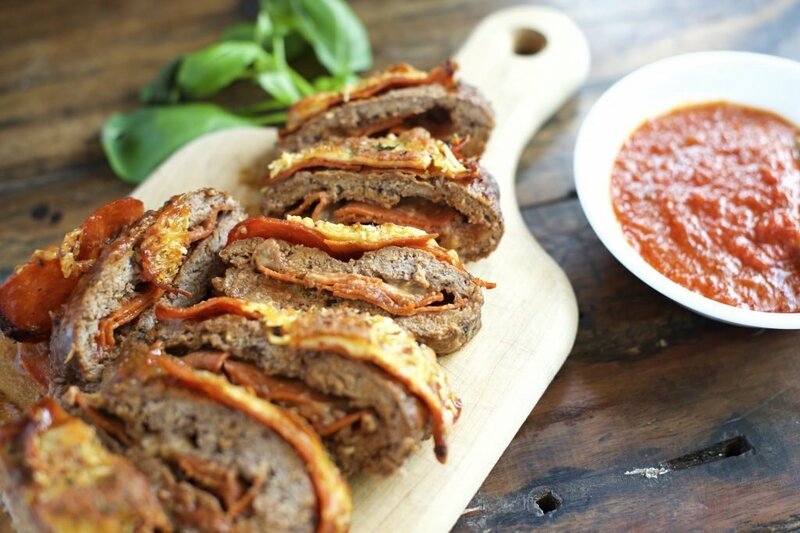 Cheeseburger + meatloaf = HEAVEN!! This would be a fun meal for taco Tuesday this week! 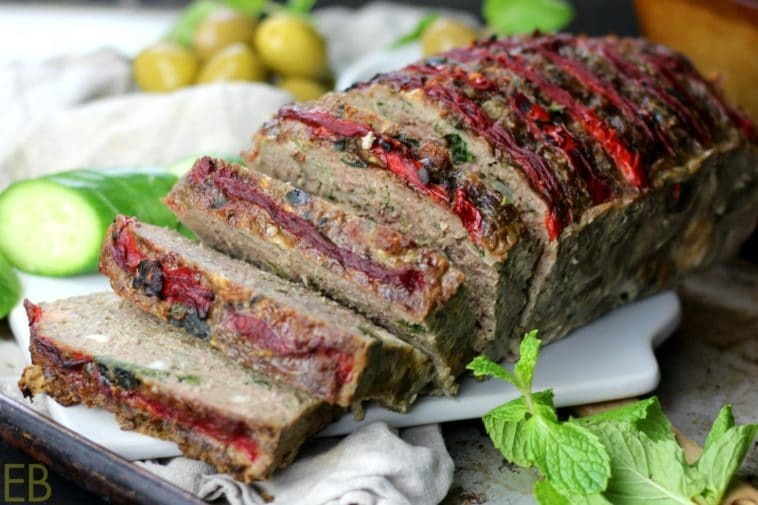 This meatloaf has a unique, but DELISH, flavor with the combination of beef and pork! 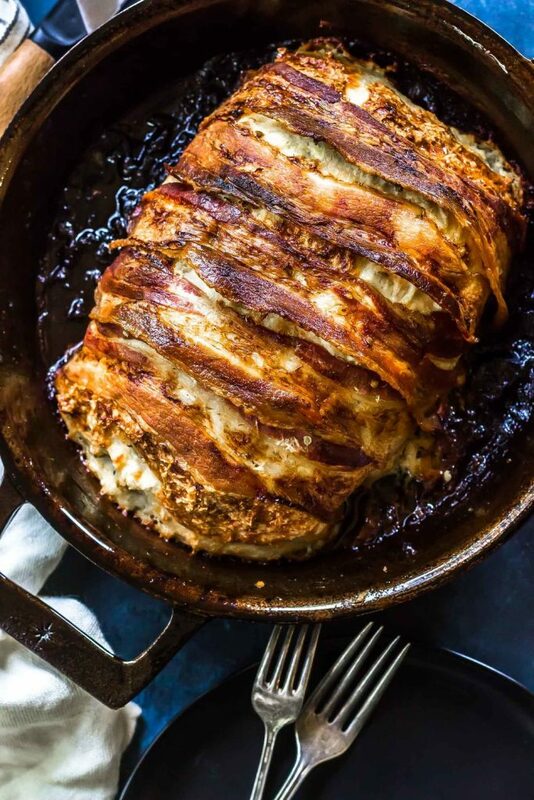 There’s no recipe that a little bit of pork rinds can’t fix…oh, and CHEESE! 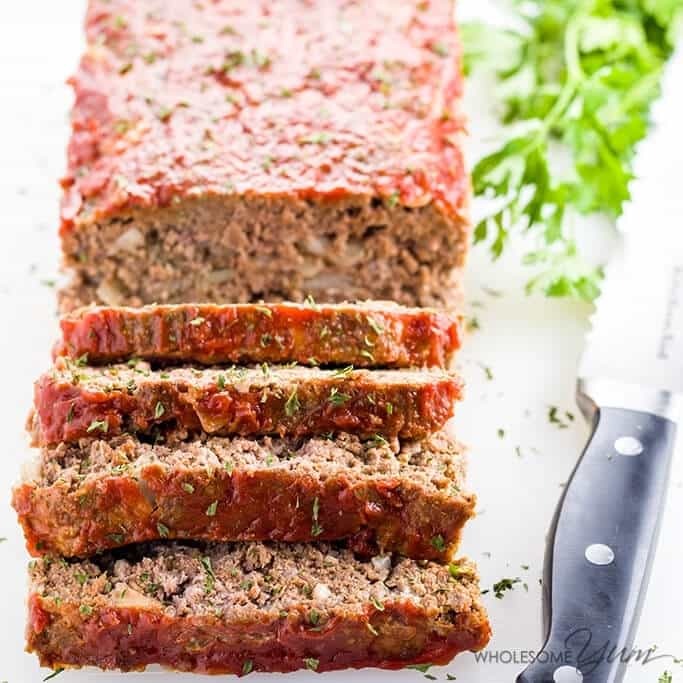 This meatloaf is a dinner that the whole family will love, but most of all, YOU will love that it is so easy to make! 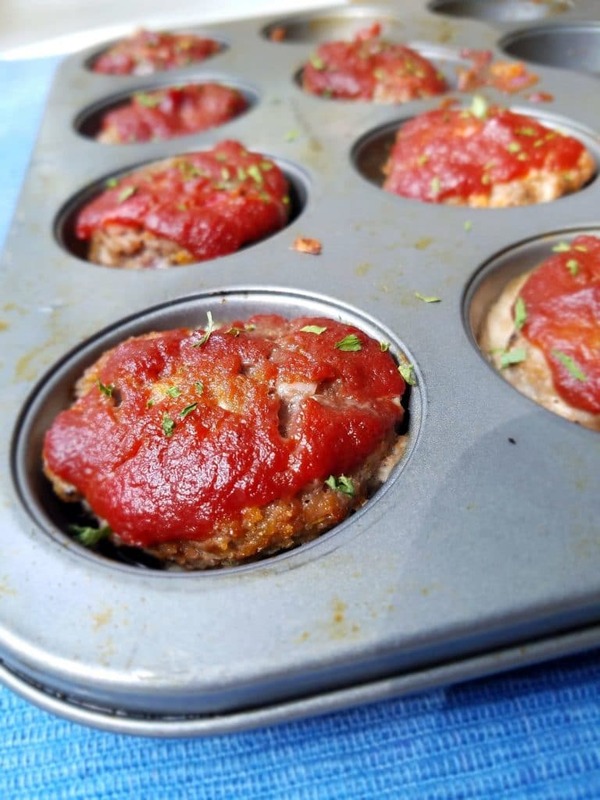 Sometimes, it takes FOREVER to bake meatloaf in a loaf pan, so making them in a cupcake pan is so much quicker! Plus, they are so fun and cute! 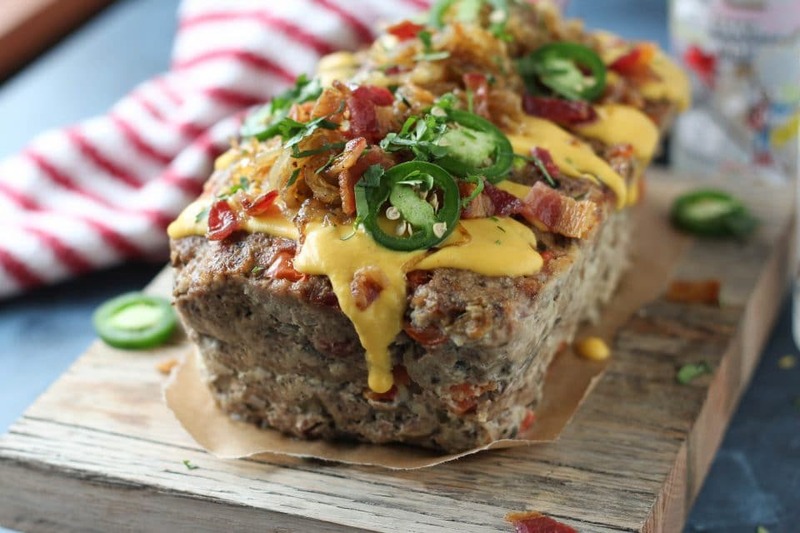 Bacon, cheddar, and barbecue all on top of a juicy meatloaf!?! This is a dream come true! 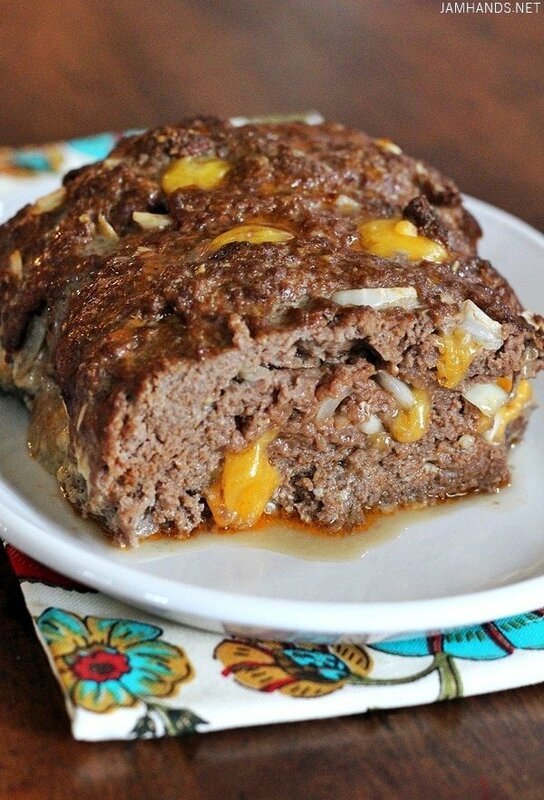 Not only is this meatloaf THE juiciest, but it is also made creamy and filling with the addition of eggs! Whoa, hold the phone! 8 ingredients and only 10 minutes to prep? I’m in!! 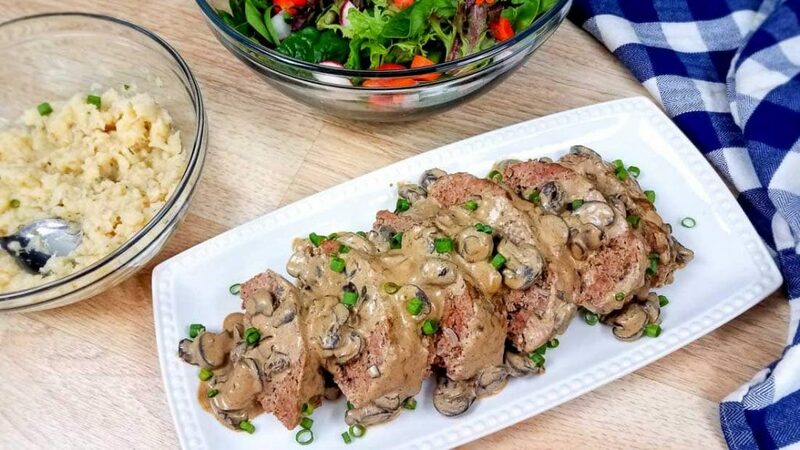 Who needs cheeseburgers when you could indulge in this keto meatloaf instead? You had me at easy! 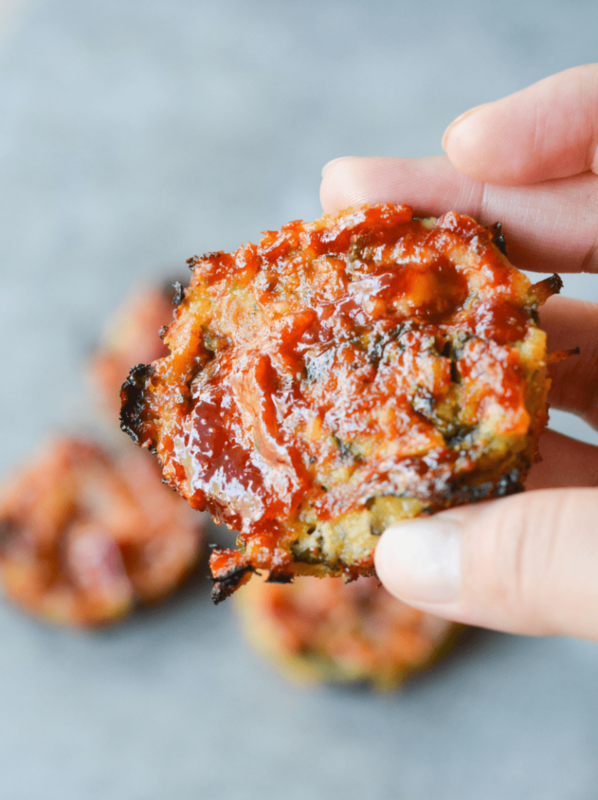 If you aren’t a fan of beef, these meatloaf muffins will be your new favorite meal! 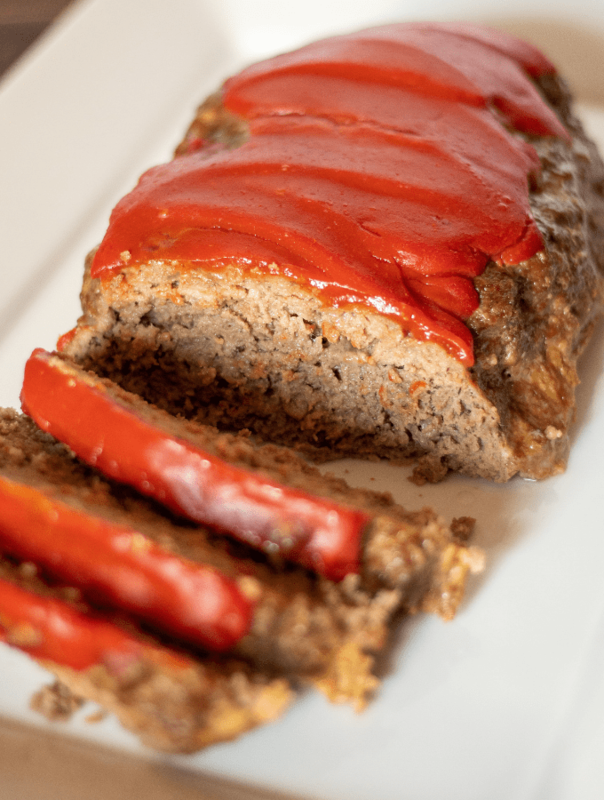 This recipe literally adds some “spice” to your classic low-carb meatloaf recipe! 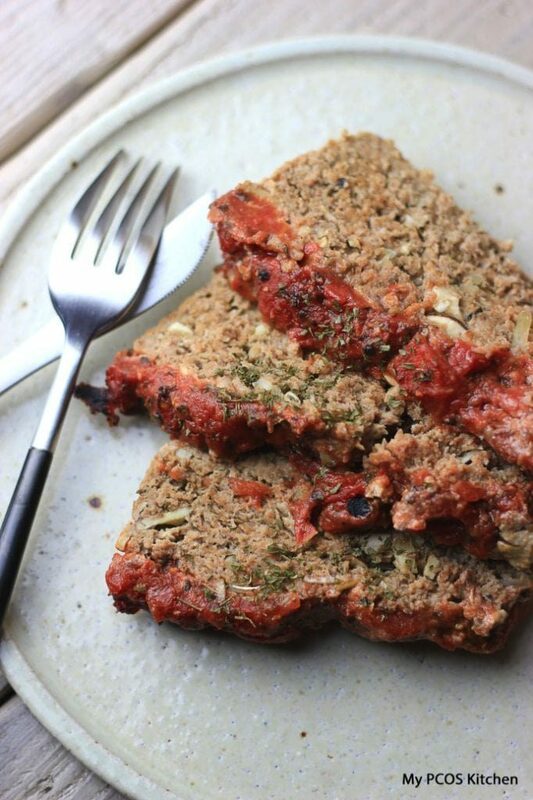 Serve this meatloaf with some mashed cauliflower for a hearty, yet healthy meal! 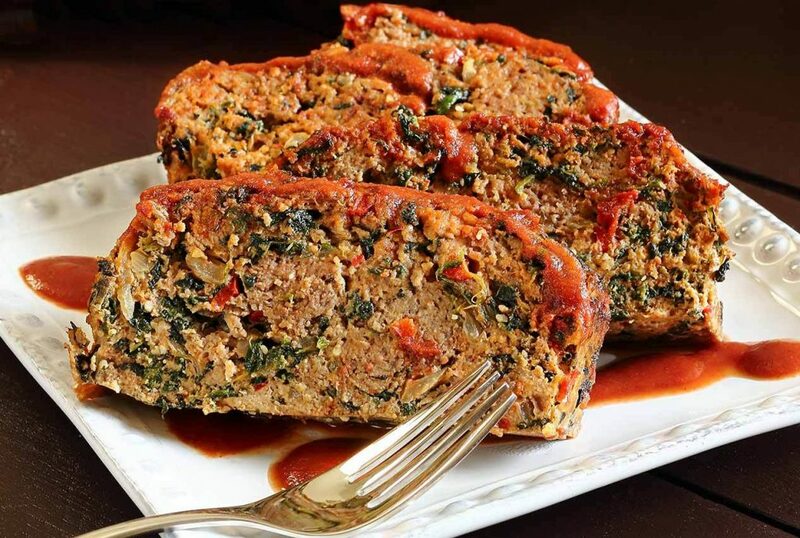 A healthy twist is added to this meatloaf with a stuffing of spinach and goat’s cheese! 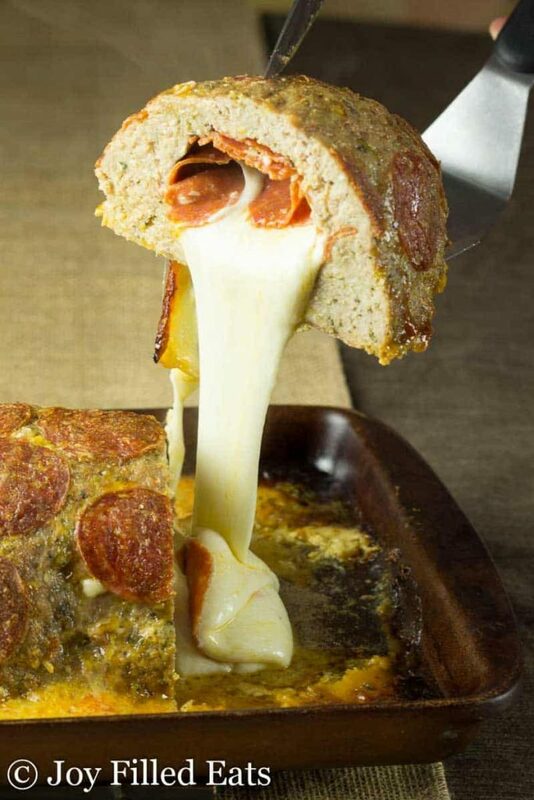 Imagine a calzone with a meatloaf crust…that’s basically this recipe! 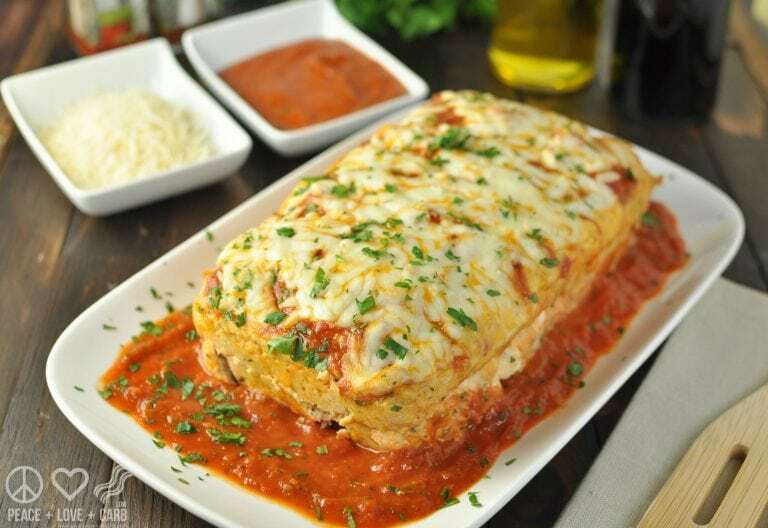 There’s italian meatloaf and mexican meatloaf, but greek meatloaf is outta this world (or country)! 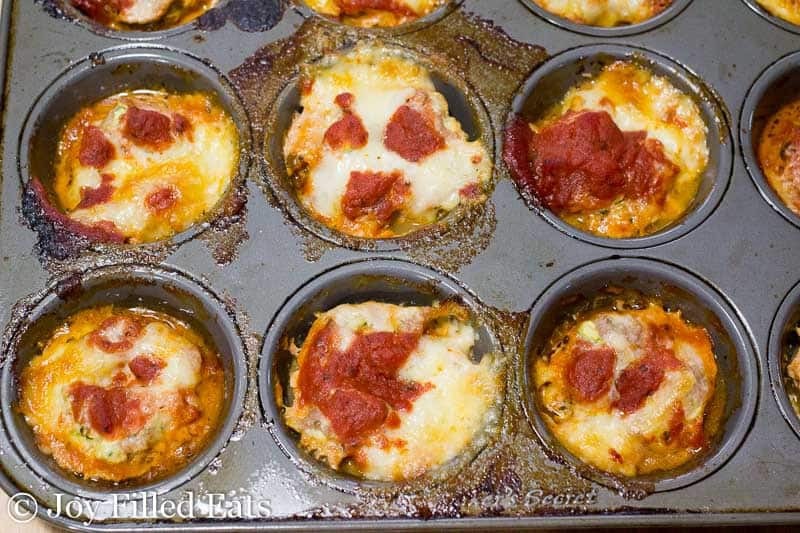 The flavors of these chicken meatloaf cups and their sweet glaze are TO DIE FOR, especially because they are so easy to make! 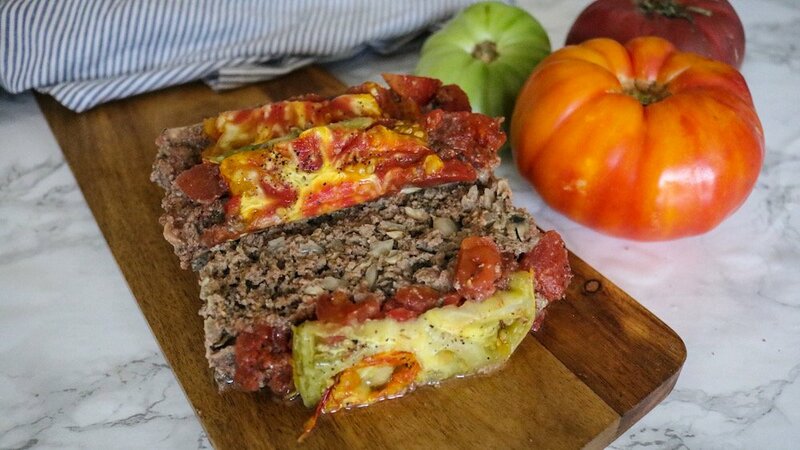 This meatloaf recipe is dairy-free, gluten-free, paleo, AND keto! What more could you ask for!? Your kids will love these crispy chicken fingers! 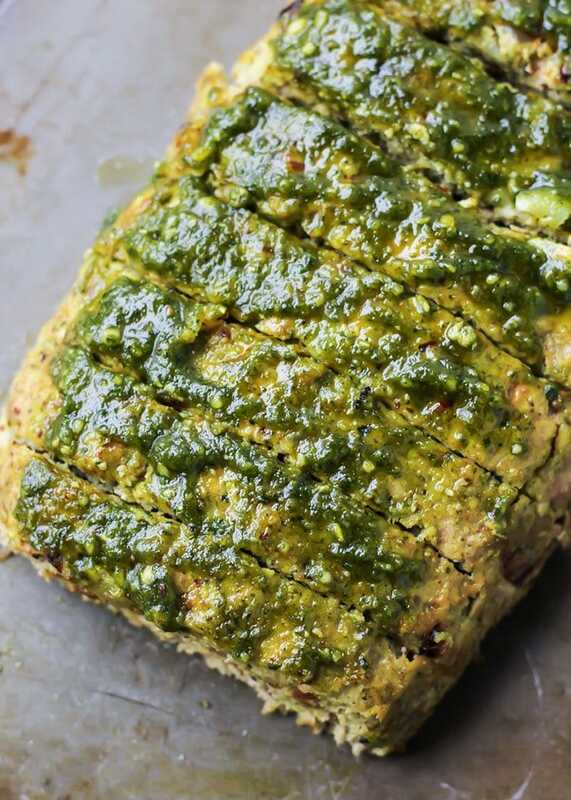 This indian spiced meatloaf is a great way to break in your new air fryer! 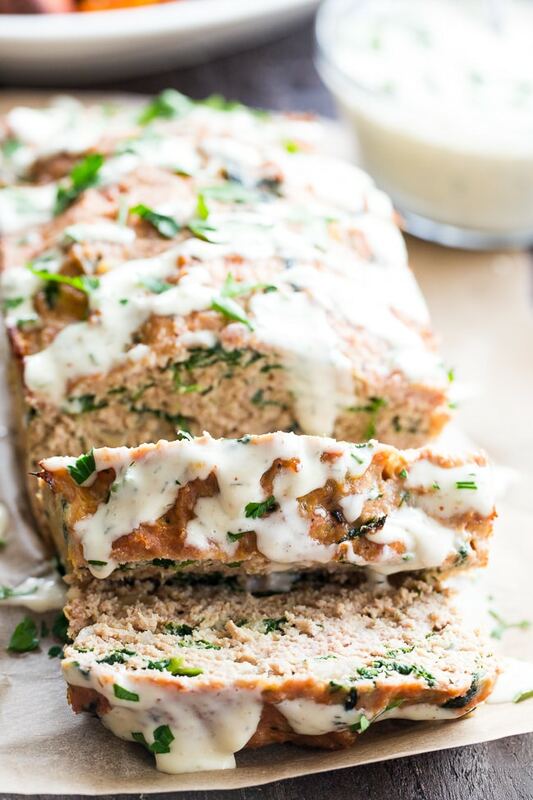 If you are one of those people that likes to put ranch on EVERYTHING, you will love this turkey meatloaf! 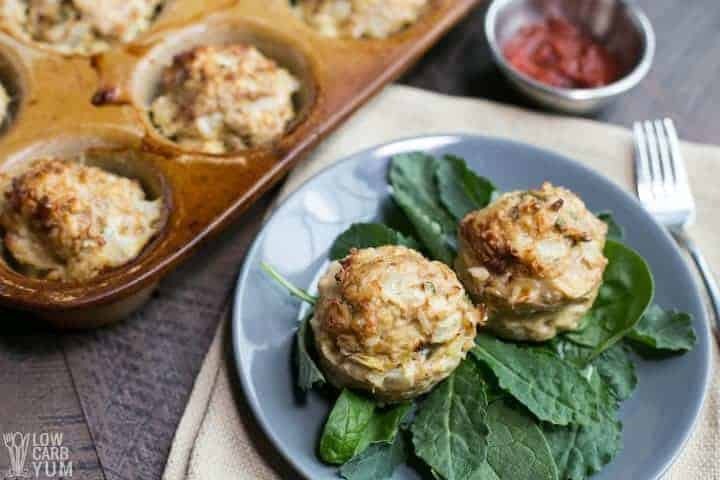 These mini meatloaves are basically spaghetti and meatballs in a cup…but with out the spaghetti! 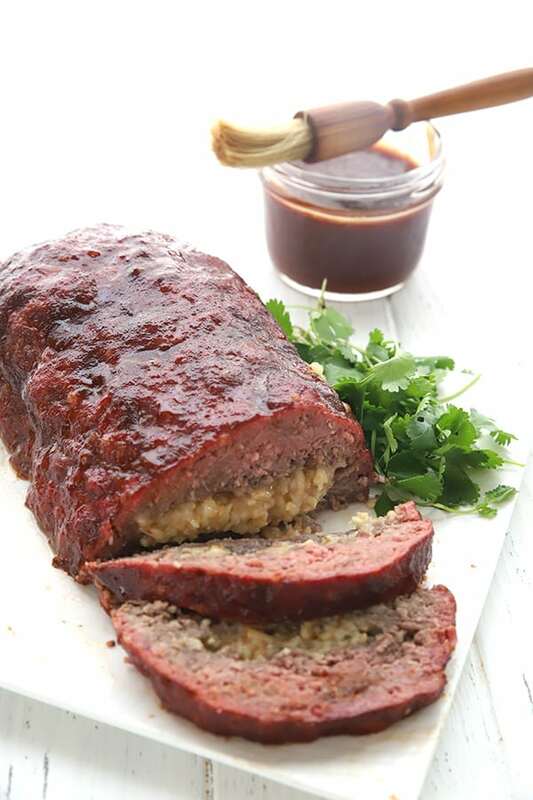 The gravy adds the perfect touch to this already flavorful and juicy meatloaf! 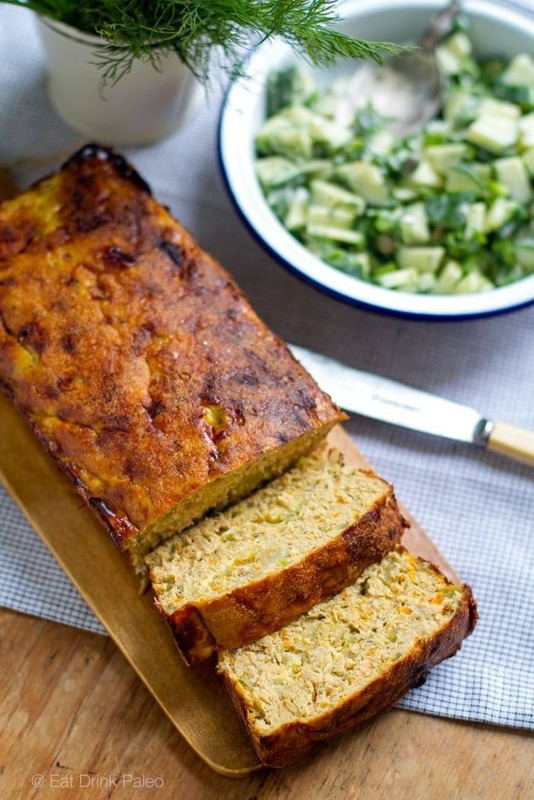 Forget meatloaf, this salmon loaf is a fresh, healthy twist that is still delicious and protein-packed! 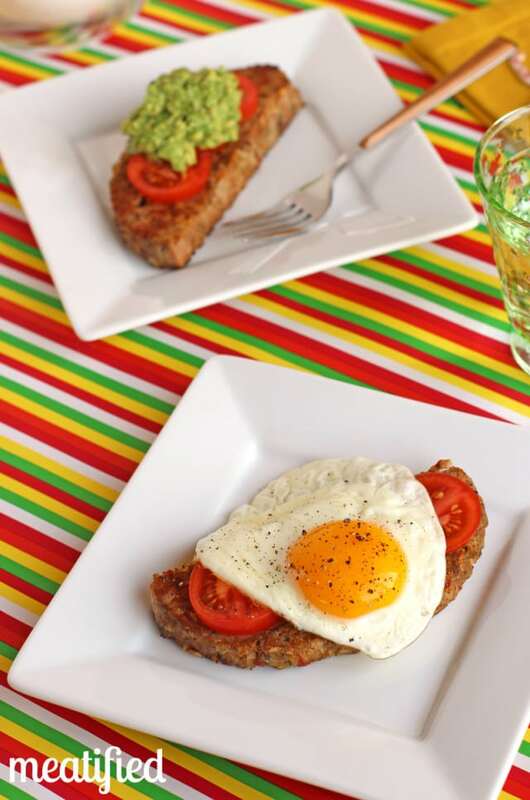 Make your own keto-version of avocado “toast” with this breakfast meatloaf as the base! 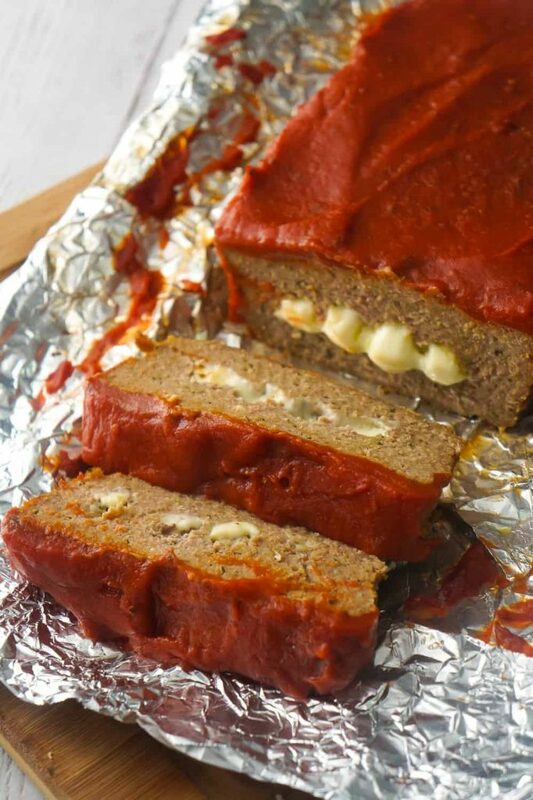 If you like buffalo chicken wings, you will DEVOUR this meatloaf! 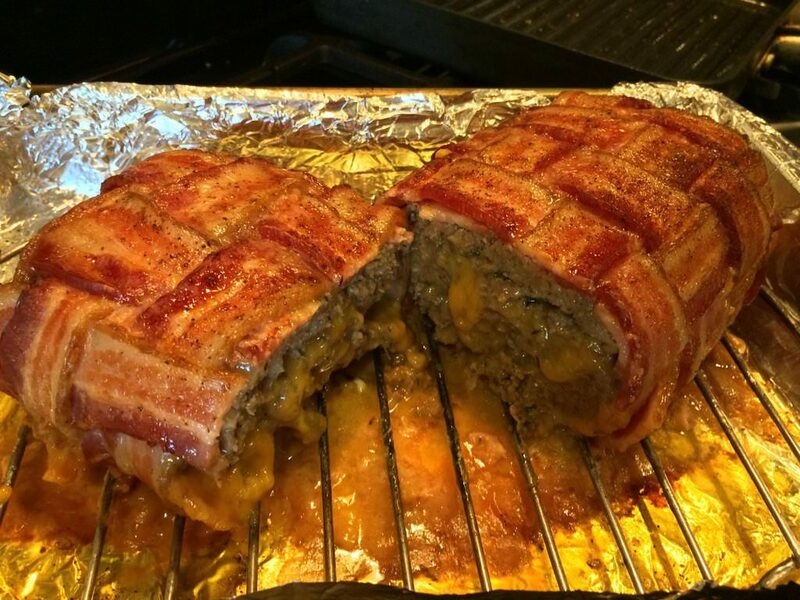 Just when you thought meatloaf couldn’t get any better…they wrap in in bacon and stuff it with cheese! 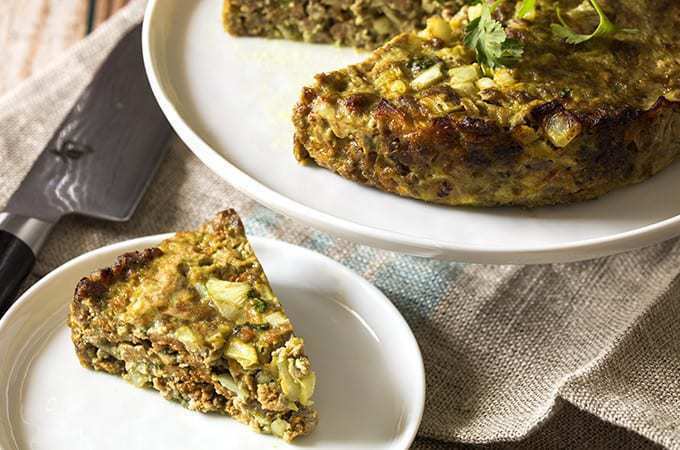 This recipe uses almond flour instead of breadcrumbs to create that same moist texture and keep it from falling apart! 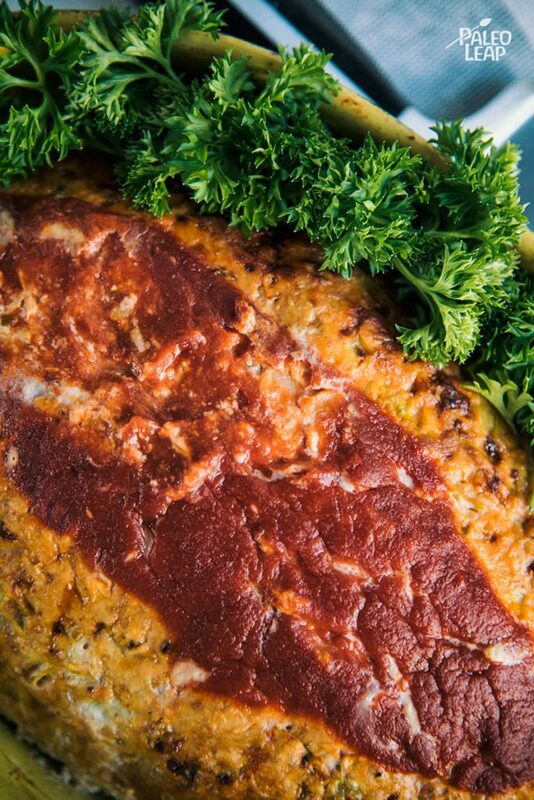 This turkey meatloaf is packed with veggies and has a bit of a kick! 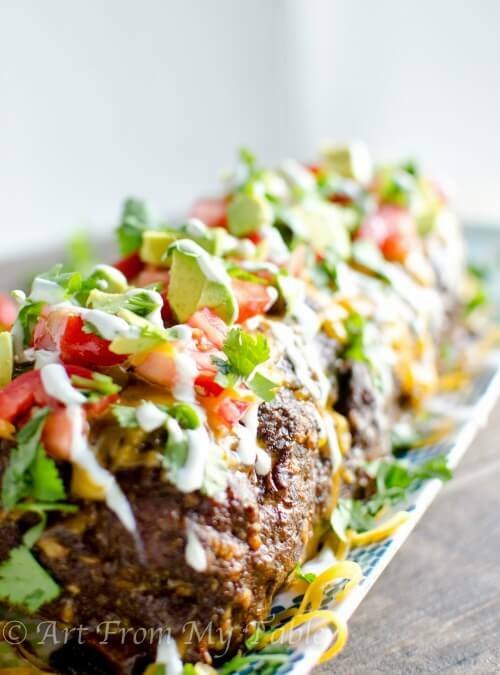 Wipe that drool off of your lip and go make this cheesy meatloaf NOW! 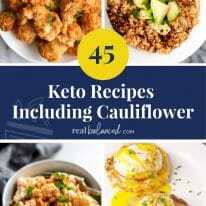 This recipe is definately going on my dinner menu! What about you? 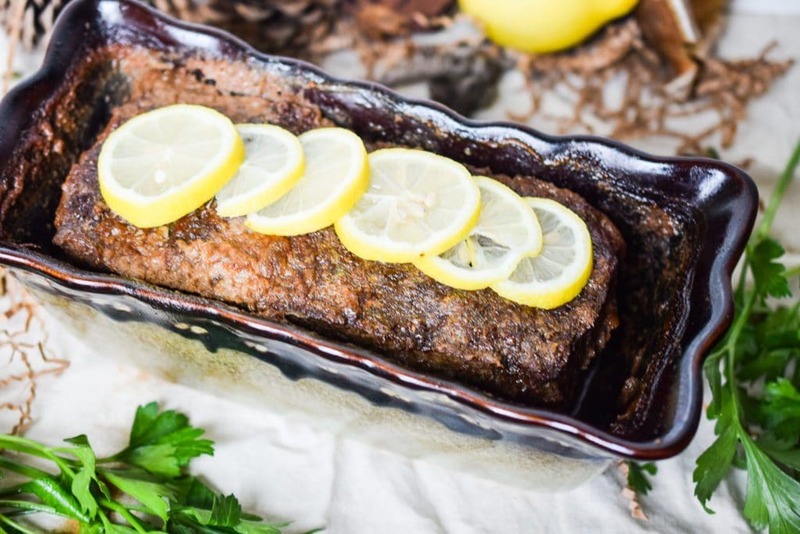 This recipe puts a fresh and citrusy twist on traditional meatloaf! 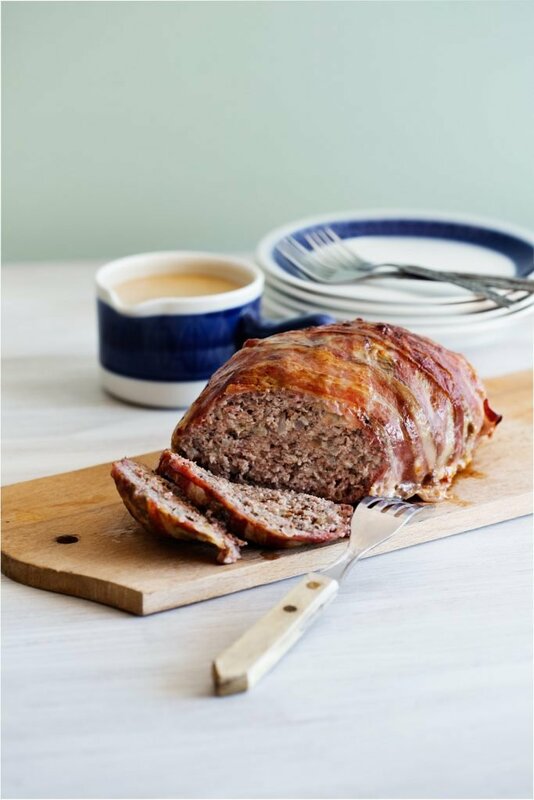 With the help of an Instant Pot, this meatloaf takes less than 45 minutes from start to finish!